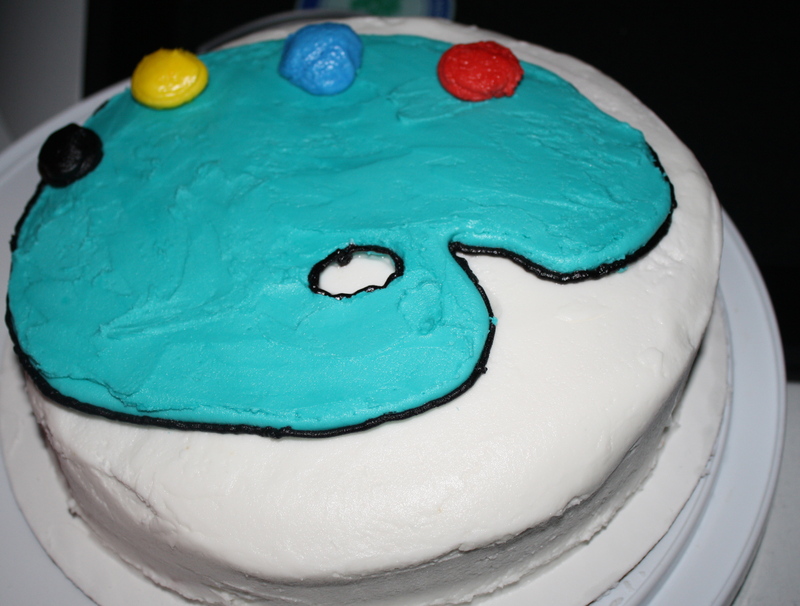 One of the guys that Zack works with has been asking me to make him a cake for a long time. Yesterday was his birthday, so I decided to finally make him one. 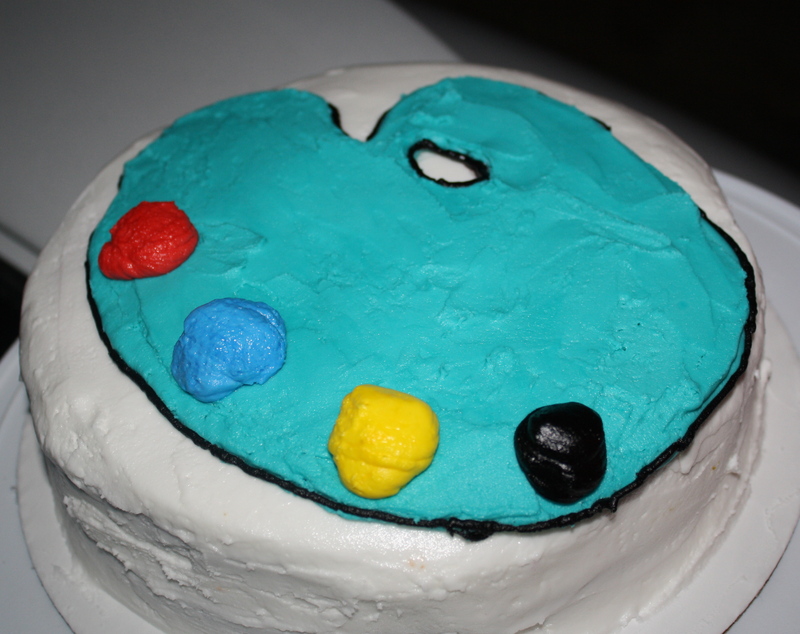 He’s really into art, so I put a palette on top of the cake. 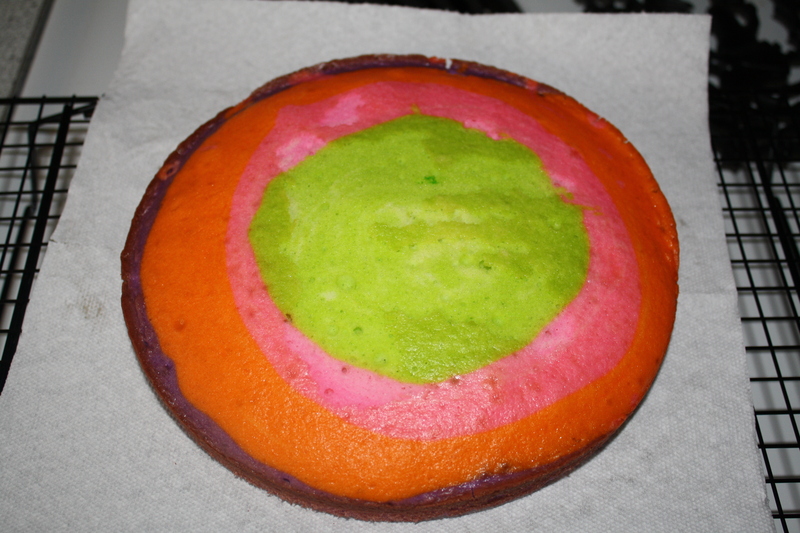 The cake part is a white cake that’s been colored neon. This time the colors turned out just as neon as I hoped. The top layer before it was leveled. The bottom layer before it was leveled. 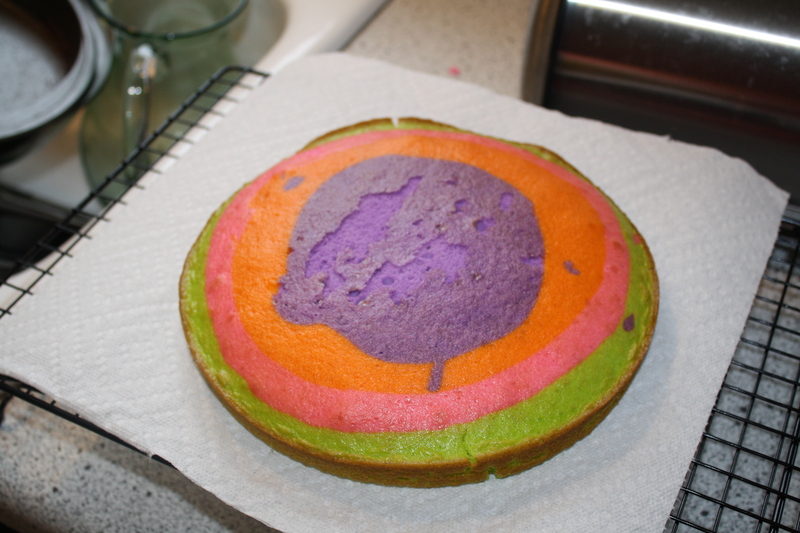 It took a couple of hours to do this cake, but I love the way it turned out! What fun! I hope the cake was much-appreciated.